The Jag Metals 350 marked the 21st race of the 2017 NASCAR Camping World Truck season and eleventh race for Austin Hill. 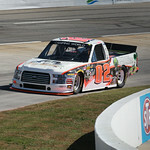 Hill ended both practice sessions, Thursday, November 2 in the 11th position. 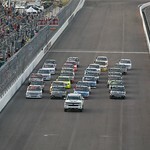 This was Hill’s second start at the Texas. facility. Johnny Sauter earned the victory, followed by Austin Cindric, Christopher Bell, Chase Briscoe and Justin Haley. Hill’s next scheduled event is at Phoenix International Raceway on Friday, November 10th. The race will broadcast live on FoxSports1. Austin Hill and the No. 02 United Rentals Ford F150 team entered Texas Motor Speedway with stout expectations and a goal of a top-10 finish in Friday night’s race. 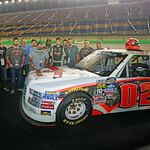 Using Friday’s two practice sessions, the crew, led by veteran crew chief Bruce Cook, worked on the handling of the truck, on the new pavement of Texas Motor Speedway. 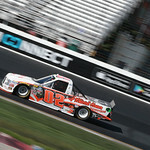 Starting the 147-lap battle Friday evening in 17th, Hill spent most of his time in and around the top-10, while fighting an ever-tightening race truck. Using the caution at the end of Stage 1 to their advantage the team pitted for two tires, fuel and a round of trackbar and air pressure adjustments. 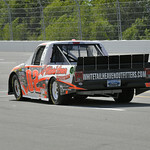 Hill would restart the race 16th and begin battling his way towards the front. Working his way as high as second place, Hill was forced to pit late in the race for fuel. Hill continued to battle through the remaining laps, to bring home the No. 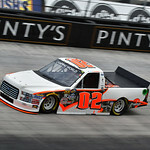 02 United Rentals Ford F150 in the 11th position. United Rentals, Inc. is the largest equipment rental company in the world. The company has an integrated network of 1,029 rental locations in 49 states and every Canadian province. The company’s approximately 14,900 employees serve construction and industrial customers, utilities, municipalities, homeowners and others. The company offers approximately 3,300 classes of equipment for rent with a total original cost of $11.2 billion. United Rentals is a member of the Standard & Poor’s 500 Index, the Barron’s 400 Index and the Russell 3000 Index® and is headquartered in Stamford, Conn. Additional information about United Rentals is available at unitedrentals.com.